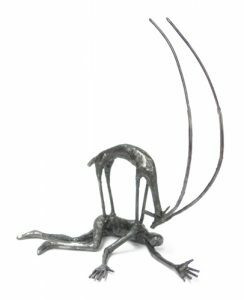 Mitchell • Giddings Fine Arts is pleased to present DayDreams, an exhibition of steel sculptures by Torin Porter. 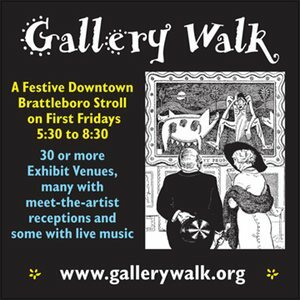 The show opens Thursday, June 28 at 5pm, with an Artist Reception Saturday, June 30th from 5-7pm. Torin Porter’s stylized figures reflect complex facets of humanity, creating modern world archetypes. As Porter speaks of DayDreams, “[These sculptures] exist externally but we experience them internally. When we behold them with our senses, feel their weight and texture and see their forms change in response to our movements, they come to life as they interact with the associations they bring.” Simplistic and playful at first glance, each sculpture in DayDreams holds layers of symbolism, easily accessible for the viewer to unfold. Growing up in Northern Vermont, Porter spent summers with the Bread and Puppet Theater and later performed with the MOMIX dance company and rock band Jane’s Addiction. Porter’s sculptures have been exhibited in galleries throughout New England and New York. He currently resides in Glover, VT. The gallery will also introduce a selection of works by Willa Cox and Erika Radich. Cox’s richly surfaced, mixed media paintings reflect the artist’s reaction to the visual complexities found in nature. Her love of these qualities has provided the foundation of her artmaking since her childhood days in Hawaii. Radich has created new monoprints which utilize collaged fragments of her earlier prints, which serve to further abstract and construct images of feelings, emotions and symbols. Mitchell • Giddings Fine Arts is committed to presenting innovative, contemporary works that stimulate both the seasoned collector and aesthetic explorer.